In addition to basic category, brand and product pages I was also able to utilise my web design skills in creating pages that acted as seasonal storefront pages or competition pages that could include video, sound and animation content. 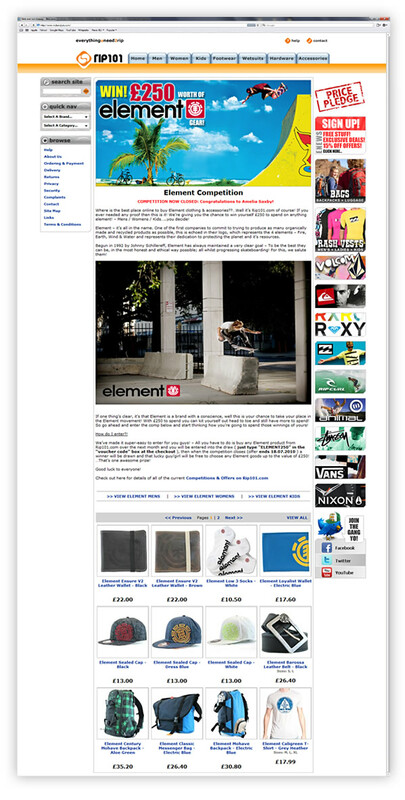 The feel of the site was always kept contemporary through the highly selective use of imagery and graphical typography. 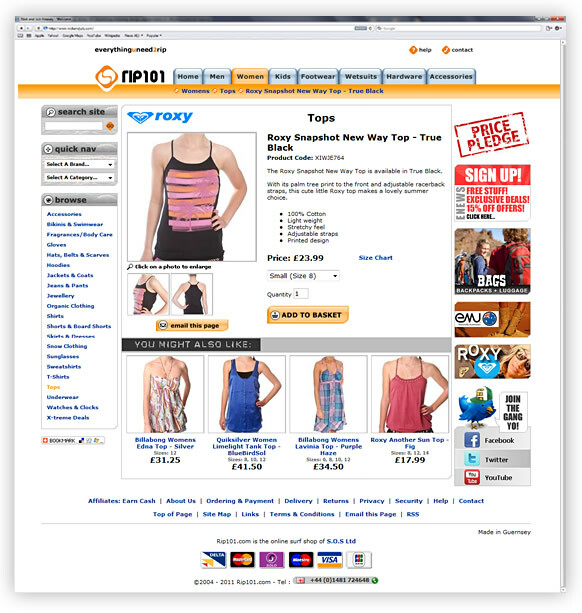 Optimising content at brand, category, line and even individual product level was of paramount importance at RIP101. 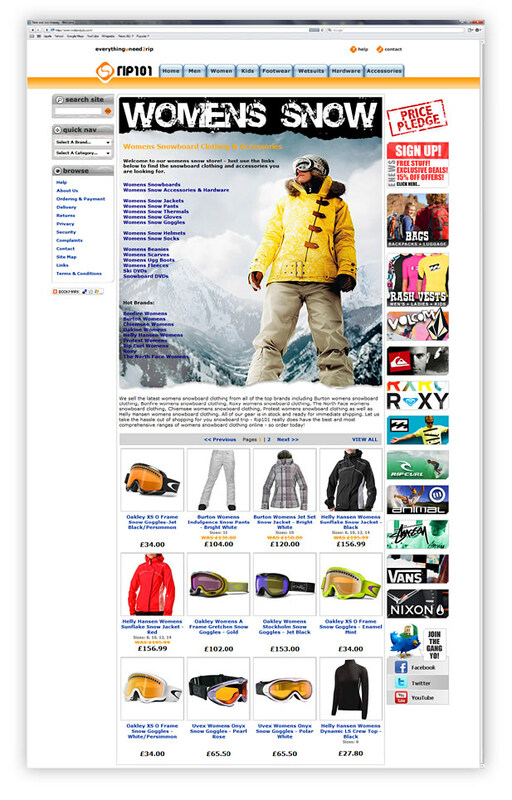 In the example above the phrase ‘Quiksilver Cypher Shorts’ was chosen as this is a popular range of seasonal shorts updated regularly by Quiksilver. A page was designed, created and optimised on site to give visitors and potential customer’s information through text, graphics and video regarding the shorts features such as, tech-specs, benefits as well as special signature series models. 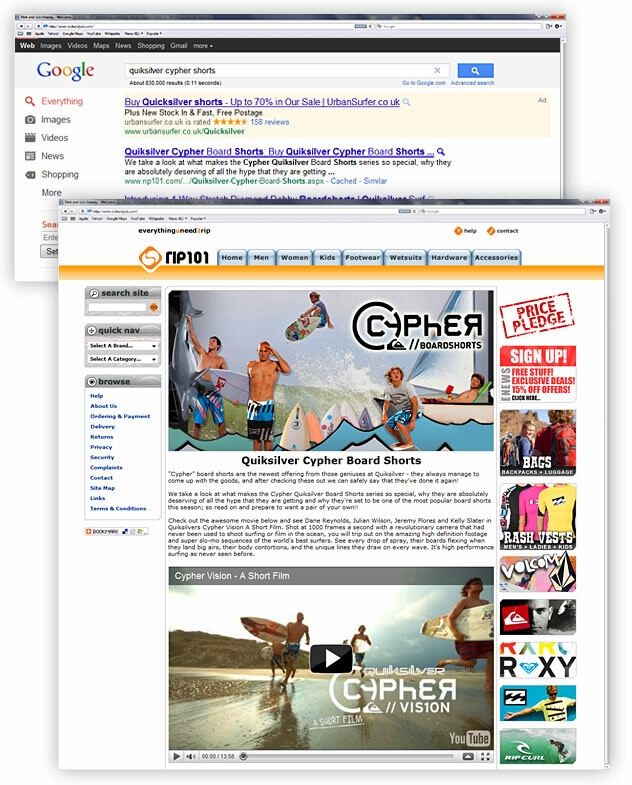 Underneath this informational content (not visible in above screenshot) was displayed the current Quiksilver Cypher shorts available in stock as well as links to all of the other board shorts produced by other brands. Once again, referring to the above screenshot, it is apparent that the resulting page has enjoyed position #1 on page 1 of Google in the natural listings. Having built the RIP101 AdWords account from scratch the several thousand keywords that were mined and identified were split into many separate logical campaigns. 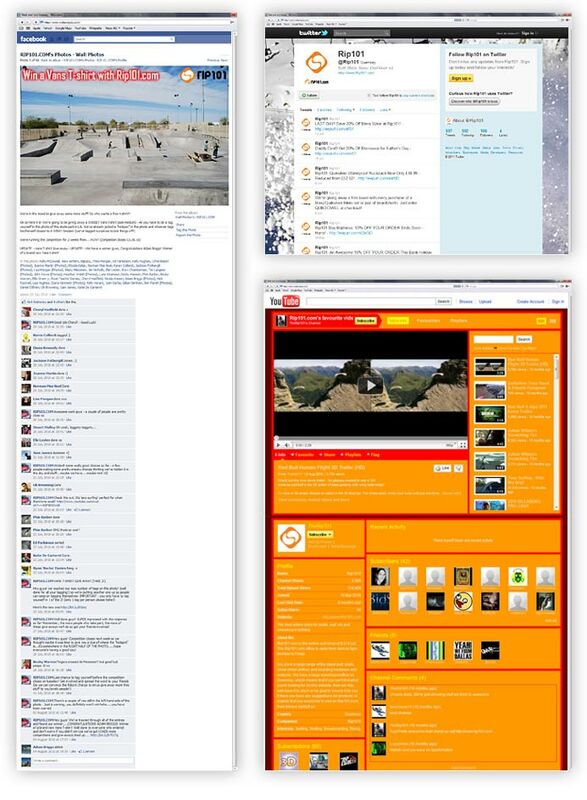 Each ad campaign contained several ad groups which contained bespoke ads and very specific keywords. 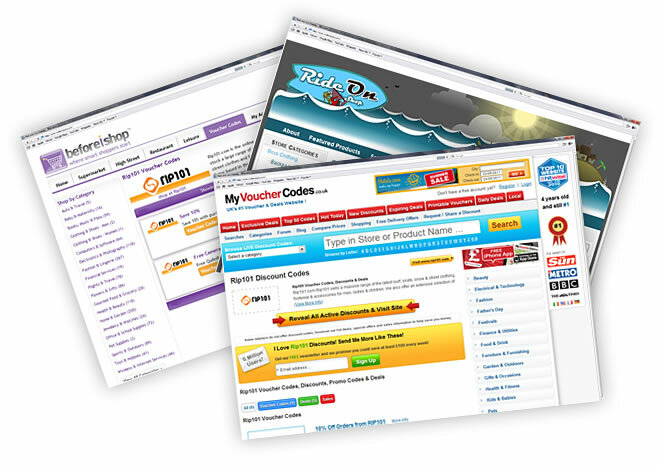 These ads then led to visitors to highly relevant landing pages ensuring that they were confronted with the products that they expected to see upon entering the site. Keywords varied from generic to the very specific and all were monitored closely to analyse ROI. 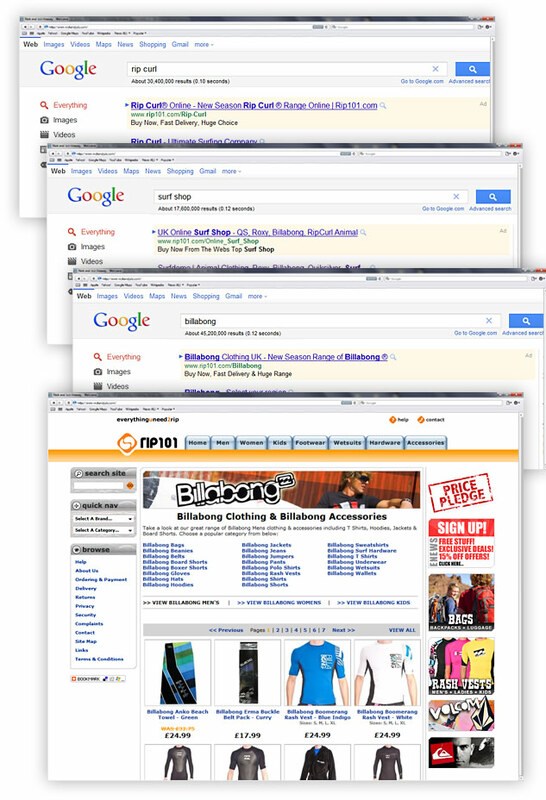 The screenshot above illustrates that visitors clicking on an ad for the general term ‘Billabong’ were taken to a specific page on the site where they could immediately see all Billabong products. They also clearly have the option to view specifically only men’s, women’s or kid’s items as well as the choice to narrow their search further by viewing particular Billabong product types such as jeans, beanies or shorts. Leading visitors to bespoke landing pages depending on what they initially searched for in Google is vital for high conversion rates and good ROI. Responsible for setting up Facebook, Twitter, Myspace, YouTube and WordPress accounts for RIP101 has allowed me to gain insight into how a brand should interact with its followers across social media sites. During this time I have learned what kind of communication works best and how to create engaging content that gets followers interacting, this can be demonstrated in the screenshot above. 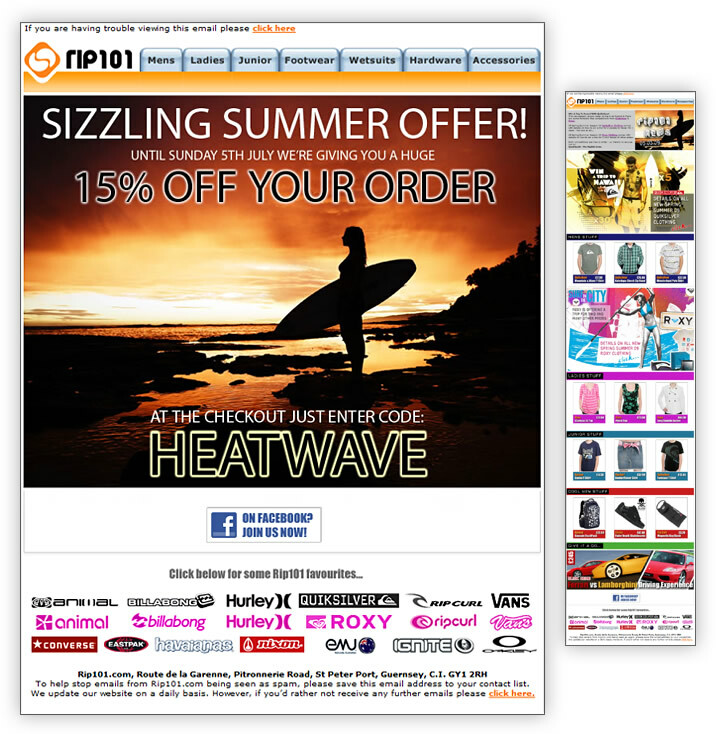 Sending out a weekly email communication for RIP101 ensured that any new products, offers or promotions were delivered to the inboxes of our highly targeted newsletter subscribers in a timely fashion. Email communications designed, produced and deployed by myself contained eye-catching design, well thought out copy (a must in order that your email doesn’t get incorrectly identified as SPAM) and clear calls to action. All email marketing activities were closely analysed with regards to sales, ROI and list management. 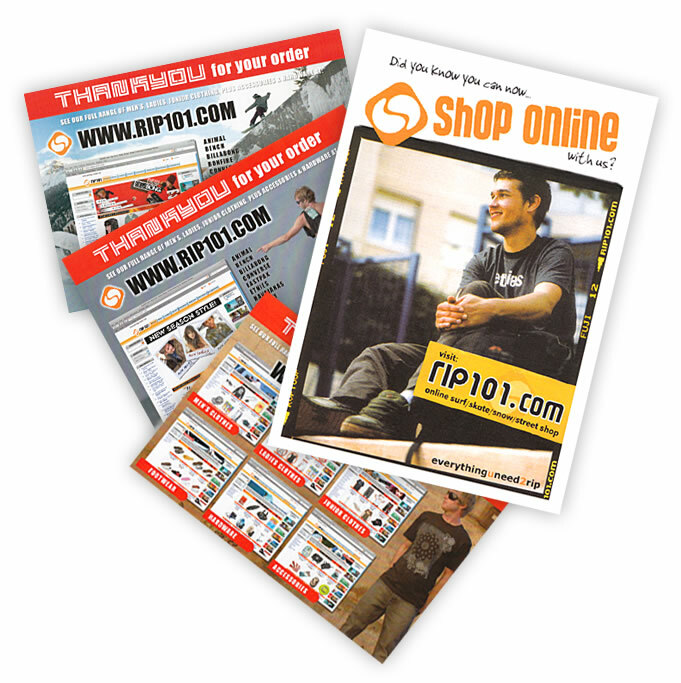 As illustrated above I designed and produced a number of double sided colour promotional flyers (on a seasonal basis) as a promotional tool for RIP101. Also as illustrated above I designed and produced branded packaging for orders to be sent out in. The dark, opaque colour of the material was chosen as a means of preventing people other than the recipient from being able to see what was contained in the parcel. The metallic silver branding added class and elegance to the package. 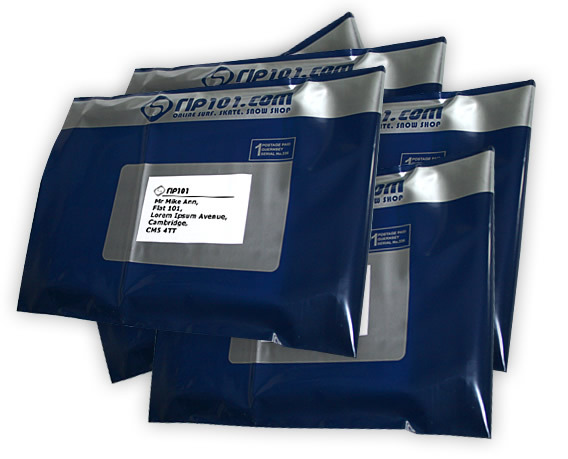 If you are spending £250 on a jacket or a wetsuit you don’t expect it to thrown into a mail-lite bag. The design and presentation of the packaging was in line with the high quality products and brands sold. As a co-founder I was responsible for the concept, name, logo and branding of RIP101. As such the design of the website and all supporting media was carefully produced in a way that would compliment the logo and follow branding guidelines that I set down.